White card depicting triplet babies dressed in teal, orange and purple in cradles. Baby blocks, balls and bottles are on the ground. 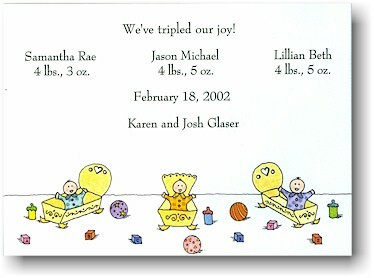 White flat card depicting triplet babies dressed in teal, orange and purple in cradles. Baby bottles are on the ground.